This Saturday, October 28, 2017, is National Take Back Day! Plug in your zipcode to find a drop spot for outdated prescriptions near you. As the “Queen of Trash” I wanted to make sure folks know about something that should not go into the trash or toilet. This month I’ve been de-cluttering and I had gathered up quite the collection of over the counter and prescription medications that have expired or I no longer need. It’s important to know these should NOT be flushed down the toilet like you’ve seen in a variety of movies. Medications can clog plumbing and pollute the downstream water. To find out the best way to properly dispose of medications in your area, contact your pharmacist or the local police department. 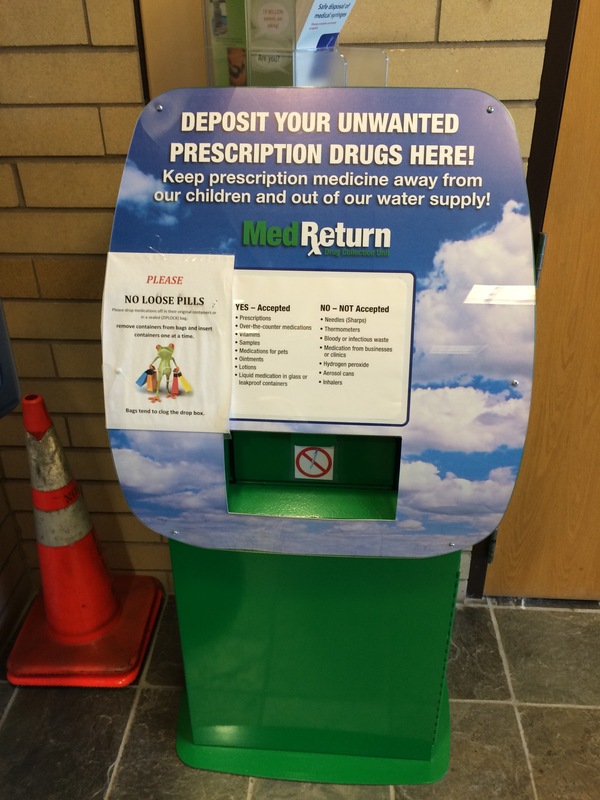 You can also Google “medication disposal” along with the name of your city to find out about resources in your area. Or you can consult the Food and Drug Administrations page on drug disposal. In Portland we have 3 police locations for dropping off medications, so I visited them yesterday to drop off my bag. It was easy, I just walked in, read the sign to be sure what I had was acceptable and how they wanted it packaged, dropped it in and left. Similar to mailing a letter. It’s amazing how many things can expire when we aren’t looking. I recommend you take a look at your medications, both prescription and over the counter, and dispose of those that are outdated. They also take pet medications, samples, lotions, ointments and liquids.